Even though I have been resisting new yarn, I have not been able to resist and say “no” to new patterns. Autumn is my favorite season, and I feel like I just HAVE to have like 10 more knit sweaters! Currently, I have 5 sweaters in progress (6 if you count one that’s been hibernating for over a year). Three are tests, the fourth is part of a Knit-Along (KAL), and the fifth has been patiently waiting since March from Malabrigo March. First up is a sweater that is way overdue. I’m stranded on the Island of Finishing! I just have the upper front and back to finish, some blocking, sewing, and I will be done. 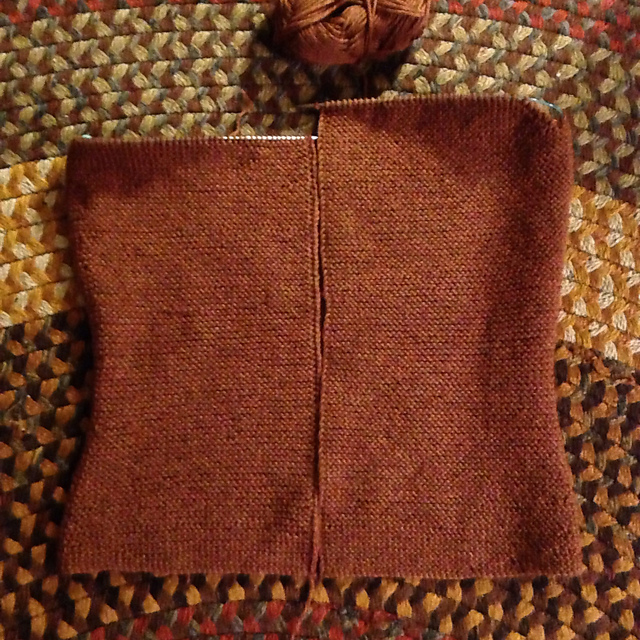 So close…sleeves are already done!! Second is my Birthday Sweater, or also known as the Coat of Many Colors. 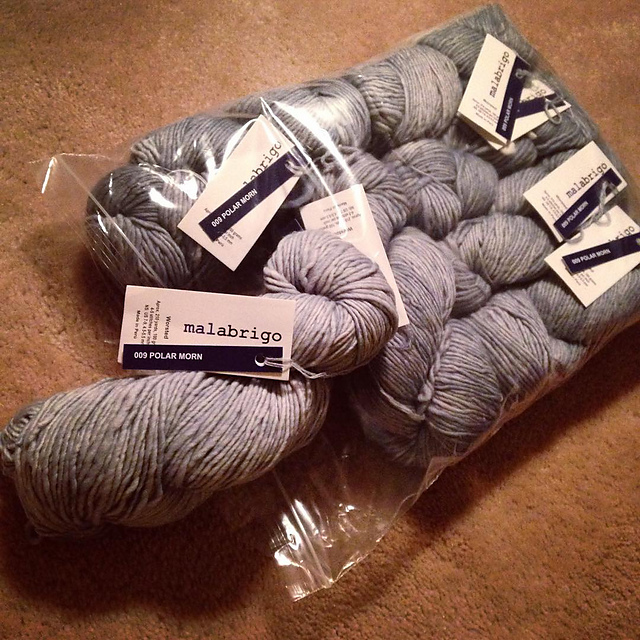 This is Malabrigo Rastita yarn that I bought online from Mr. Yarn in July, and told my parents that I had taken care of their birthday present to me. Hee hee! I am so close to getting this one done – I am further than the latest photo. I only have one more sleeve to go! The third sweater test was started on September 1st and is due October 21st. It’s a worsted weight – cable – texture – cardigan! I am loving how it’s looking. Lower body portion = done. Now just two sleeves and the top of the sweater! 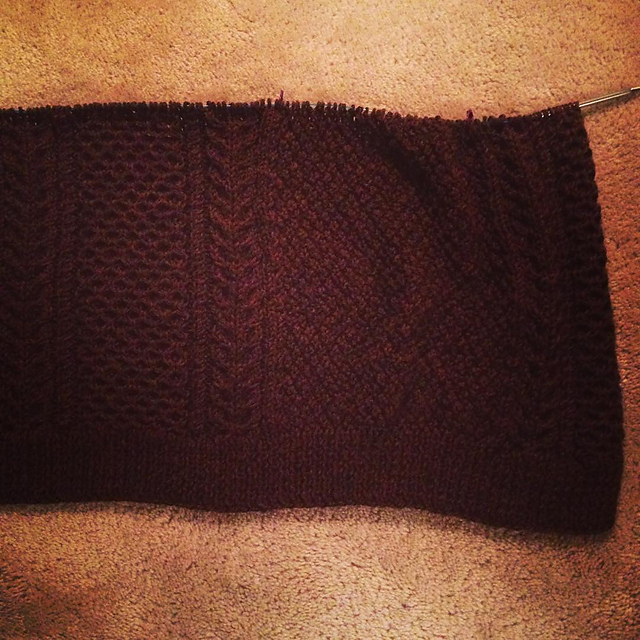 Overall, I never thought I would get addicted to sweater knitting. But here I am, drowning in a pile of wooly goodness! I guess I’d rather drown in yarn than other things, though. Finally, I have managed to keep myself busy by proofing a few patterns for Josiah Bain’s new sock pattern releases (check out his awesome new sock pattern! ), being asked to knit a sample pair of socks with provided yarn (yes, that means yarn I did not pay for! ), and also buying yarn (yes, I did pay for that). 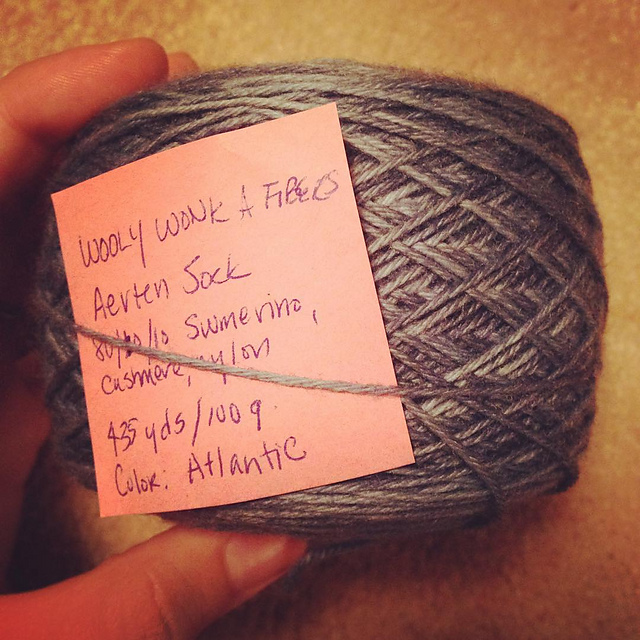 This awesome, lovely, so-soft yarn was courtesy of Anne of Wooly Wonka Fibers. I’ll be knitting a sample of her latest socks! First order: 7 skeins of Malabrigo Worsted in Polar Morn. 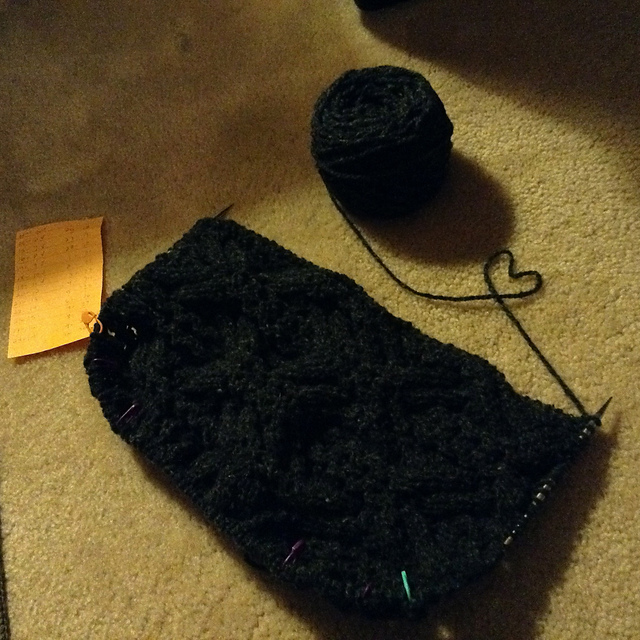 And surprise, surprise – I am going to make a sweater! Second order: As if the first wasn’t enough, I decided I needed more. 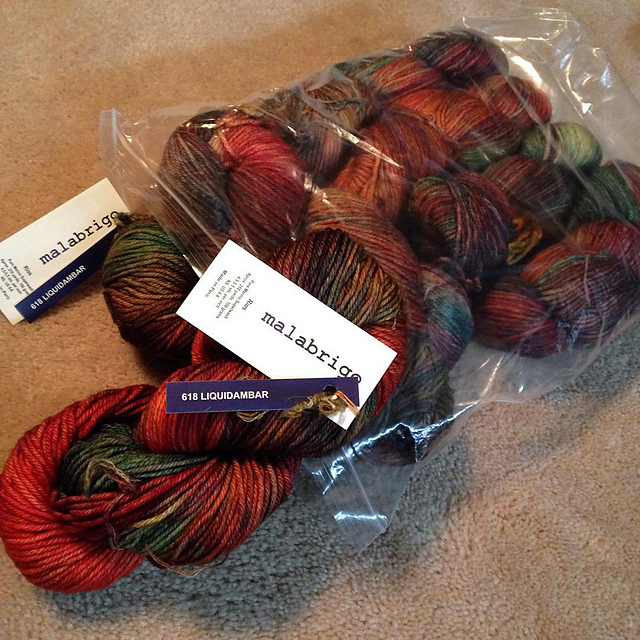 This time, Malabrigo Rios in Liquid Ambar. And yes, this will grow up to be a sweater too! Shocking, I know. So, there you have it. Looks like a lot going on, but I prefer to think that Everything is going AWESOME-ly ! Speaking of Awesome, check back next Sunday for a post about my first book-published knitting pattern!!! EEEEEKK! !